Most weeks I love to cook. I really do. Granted, preparing food for a household of eight people keeps me on my toes, but I love being a homemaker. Being a HOMESCHOOLING homemaker is another story! Honestly, keeping up with meals as a homeschooling mom is a real challenge for me. How on earth am I supposed to find time to cook when I’m busy homeschooling four kids? Good question. I surely have been asking myself that very thing lately. 2. Budget $100 a week for groceries. This challenge meets the criteria of (at least) two of my challenges as a homemaker: time management and financial management. My beautiful bunch of food from Central Market! Obviously, I don’t keep enough food in my pantry, freezer, cabinets and fridge to feed my ravenous kids for two whole weeks (do you know how much they eat?) 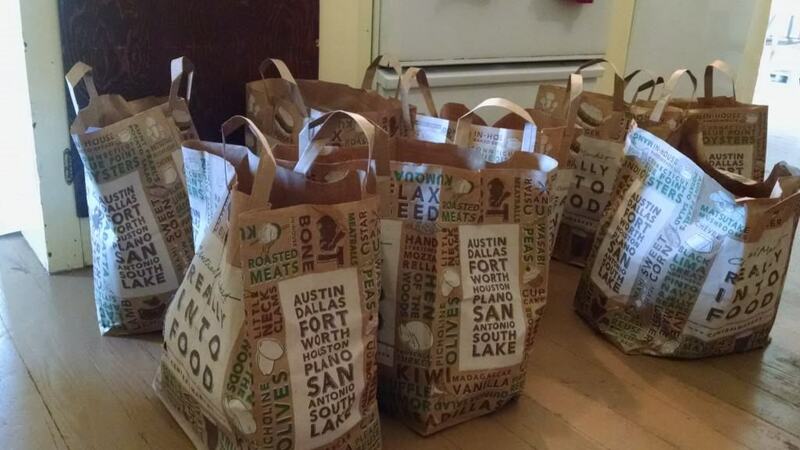 So last weekend I did a really big grocery run. Friday happened to be our monthly “Family Day” outing, and since we were near the big, organic super market that I love, my husband dropped me off to shop while he took the kids to a park. I bought enough groceries to feed our family for two weeks; the cost tallied at just over $176, which left approximately $24 for fresh produce at the farmer’s market next week. Here’s what my “big” grocery run looked like at Central Market. 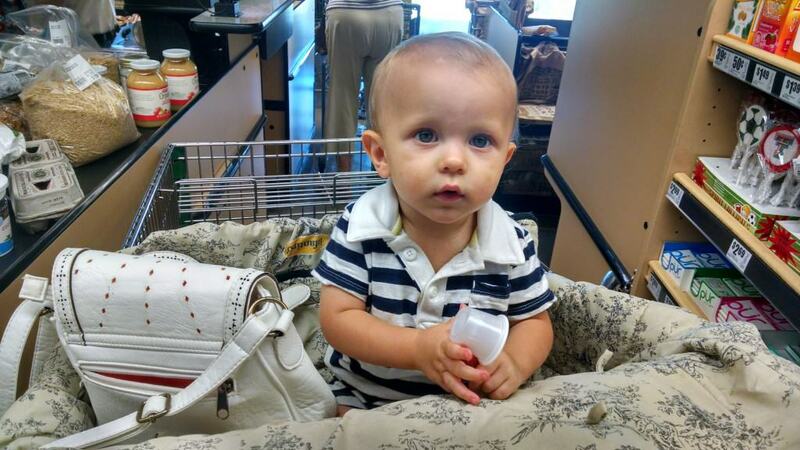 My cute little shoppin’ buddy. Wheew, that’s a lot of food! And a lot of money! It takes lots of yummy, healthy food to feed my growing family! Like I said, I budgeted $200 for two weeks of groceries, so next week I have about $24 to spend at our local farmer’s market for fresh produce. On Friday, I’m going to show you how I planned a 14-day menu (using recipes from this and this), and then prepped the food to make stress-free meals for two weeks. And on Monday, I’ll share the menu plan! How do you budget for food? How often do you grocery shop? Cooking with raw and whole foods does take more time but saves money and is healthier. It is well worth the effort. Buying in bulk helps you save even more. You did very well. I can’t wait to see what you make for breakfast, lunch, and dinner for 2 weeks with those groceries. Hopefully I’ll be able to glean some ideas on saving money. 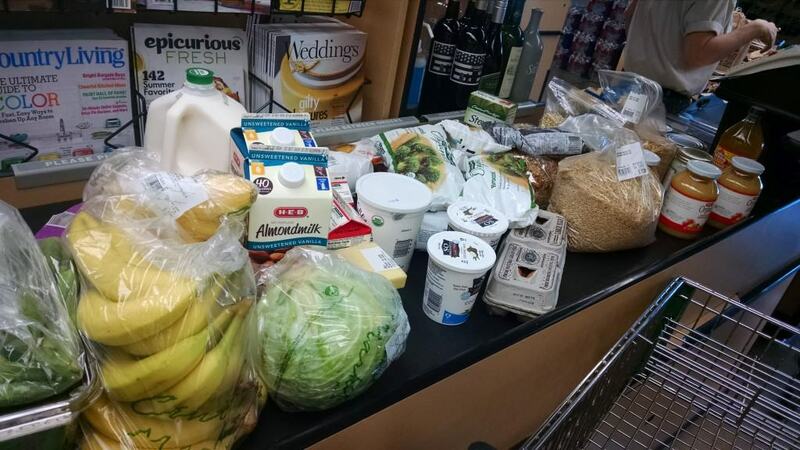 I spend $500 a week on groceries for a family of 5…. organic whole foods. Just my eggs and produce is over $100 a week. I am excited to see what you are doing. I have lots of whole foods in my house just managing to get it all put together is my challenge. Well, and food allergies. Are you doing anything with coconut flour? I know it is expensive but that is one thing no one is allergic to and there are 11 of us.